Well, this week is pearls, pewter, and the nice high end gemstones (ruby, malachite, pe ridot, aquamarine, and more). Next week the metals will follow. Sorting through orders can be great fun, looking to see the new items ordered based on our drawings or ideas. 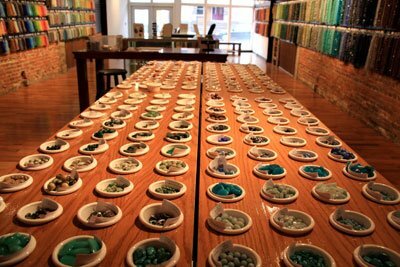 We often welcome input and ideas from our customers as to which shapes, stones, beads, and findings we carry. 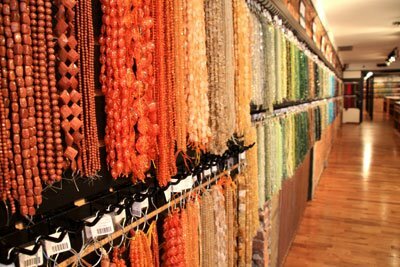 Potomac Bead Company stores can find nearly anything if given the opportunity, and we sometimes love the challenge. Of course, after days of sorting, it feels good to finally get those products on the floors and to our customers. Finally, eeing the excitement on their faces each time new shipments arrive is the most satisfying feeling of all!